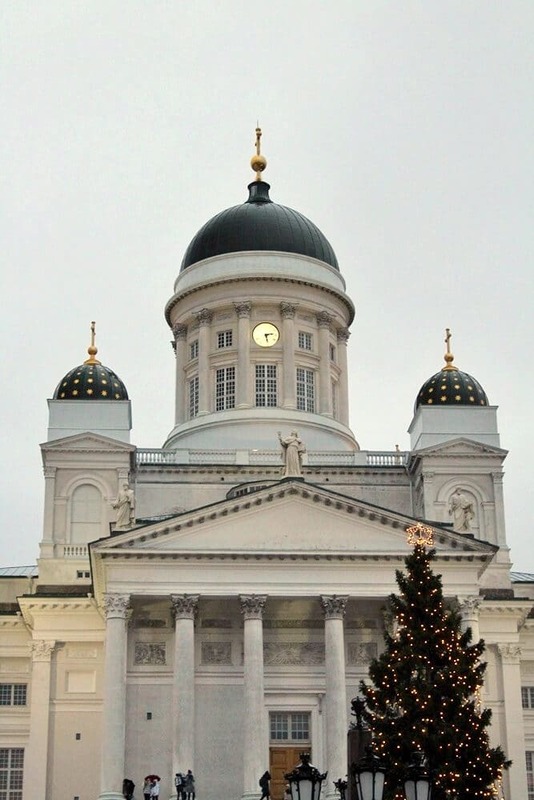 Helsinki – the Christmas City is a wonderful place to spend the holiday season. 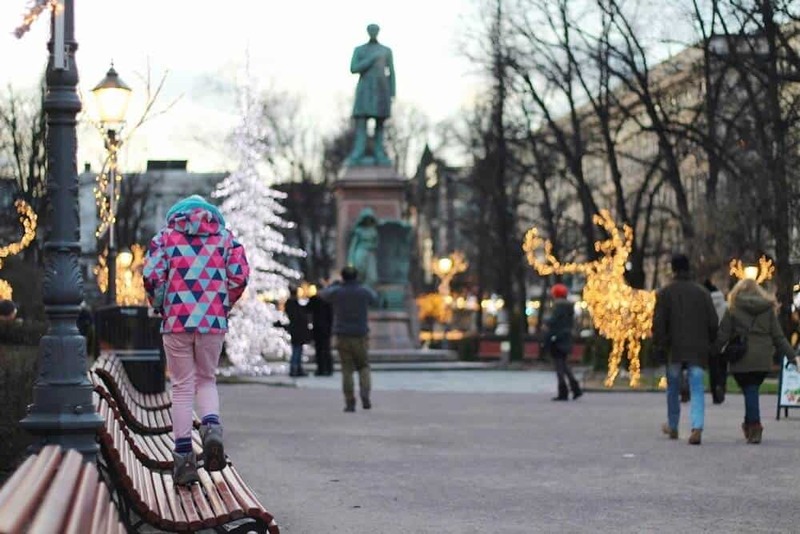 Check this post for all the tips and information you need to spend a great Christmas in Helsinki. We have a tradition of travelling during Christmas. This time we were very fortunate to spend the Christmas in Helsinki, Finland. 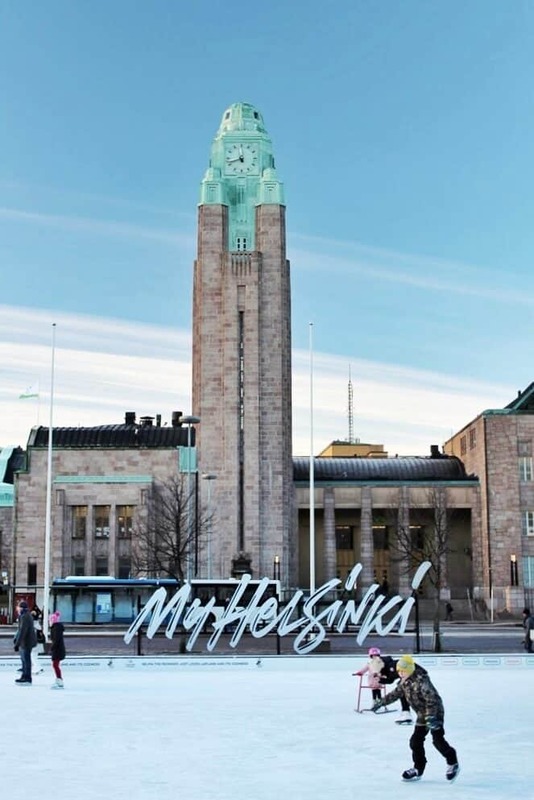 We partnered with Helsinki tourism board to show you all the top things to do in this beautiful city during the Christmas time. Coming from Tallinn we arrived by boat on the Tallink Megastar on the 23rd December. This was a wonderful start to our visit, as during the crossing we were able to enjoy a fantastic sunrise over the Gulf of Finland, and the business class lounge on the way over with all the delights they had on offer. The boat was a pleasure to travel on – it was very clean and all parts were much like the business class lounge. Incredibly fancy and comfortable, if you are visiting Helsinki from Tallinn this is the way to cross! And oh, don’t take my word for it; take a virtual tour inside the Megastar and you will see what I mean! When travelling during Christmas it is important to notice that many attractions may be closed or not fully accessible during that time (especially as Xmas Eve was a Sunday). 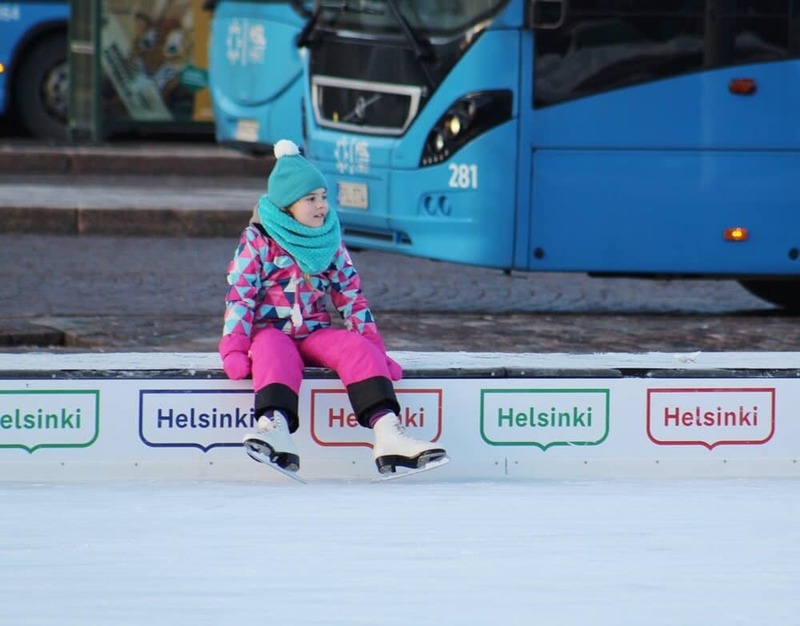 However, Helsinki tourist board creates a special list showing which venues were open and when, so you can adapt and check the best things to do in Helsinki in December. This is incredibly helpful to make the most of your stay. We recommend you to get your copy in the tourism info offices throughout the city. 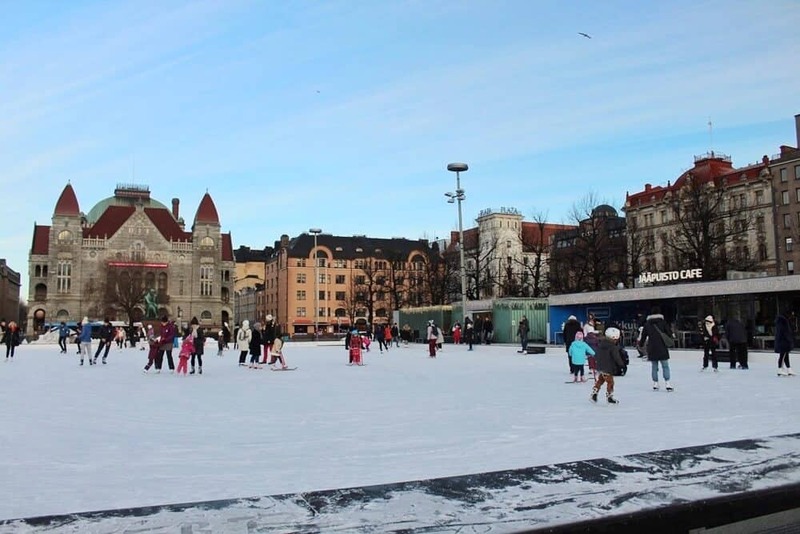 Helsinki is a great European destination to visit in the winter. 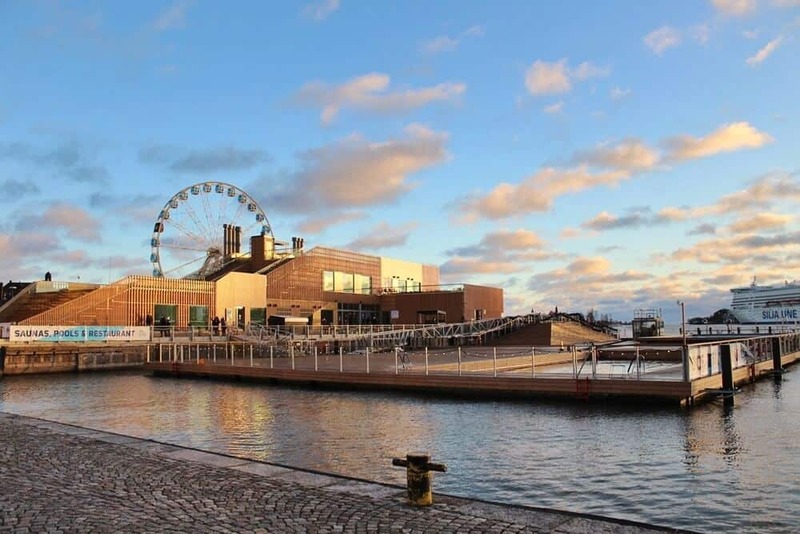 If you are planning to spend the holiday in Helsinki, here are our top tips for you. More City Break posts here! The number one thing to do during Christmas for us – of course Helsinki has a very popular Xmas market in the Square in front of the White Cathedral. This market does end earlier than most Christmas markets we know, meaning that we missed it by a day. But it is supposed to be a very lovely one. 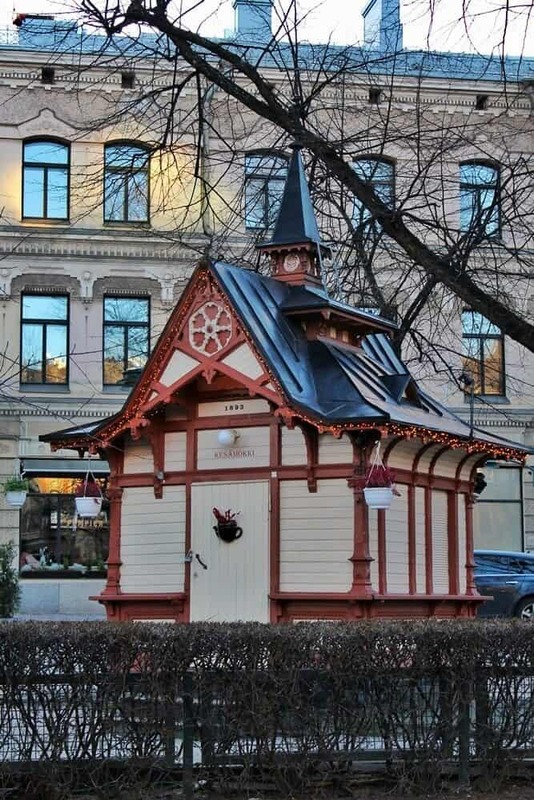 There is another smaller Christmas market located between the Market Square (Kauppatori) and the Esplanadi Park that goes on afterwards. More Family Travel inspiration here! 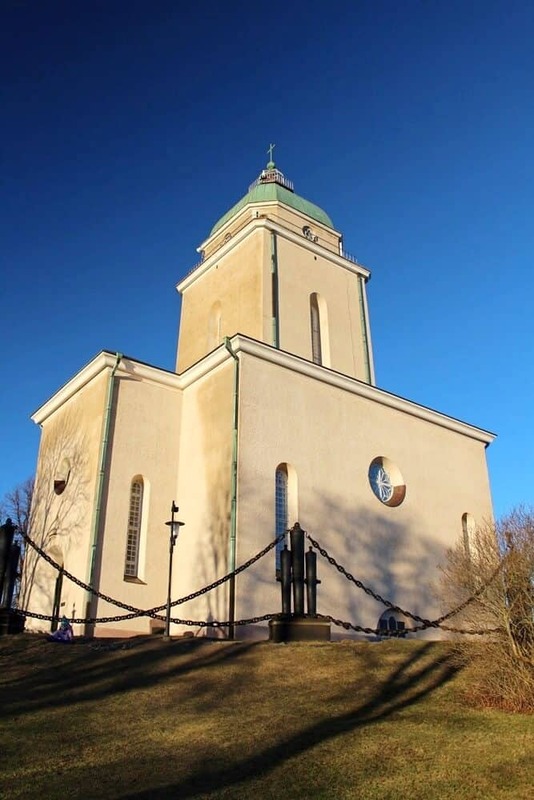 Helsinki has many architectural interesting churches that you simply cannot miss. Whether you are religious or not visiting these churches will just add to your experience during the Christmas season. Most churches have free entrance. The White Cathedral is one of the most well known landmark in Helsinki, a tall building raising above all others in the heart of the town. Arguably not the most notorious interior but the building is very impressive to see. 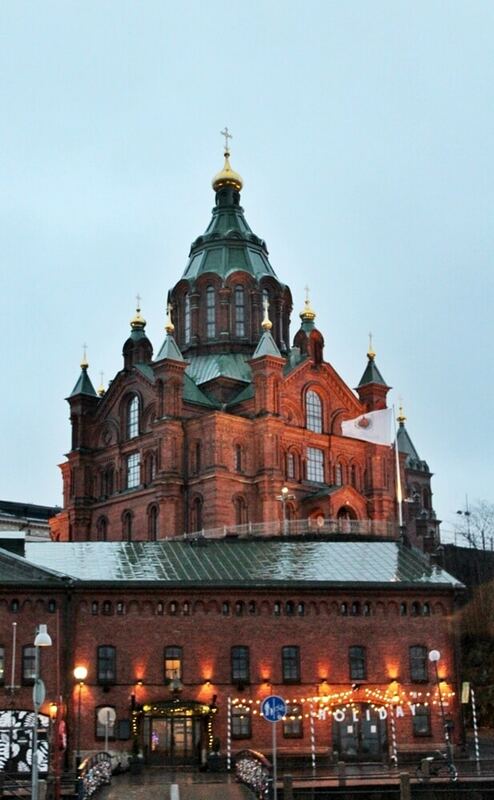 Another landmark of Helsinki is the Uspenski Cathedral. It is a Russian Orthodox Church made with red-brick towers and classic onion domes. The church is beautiful inside and entrance is free of charge. 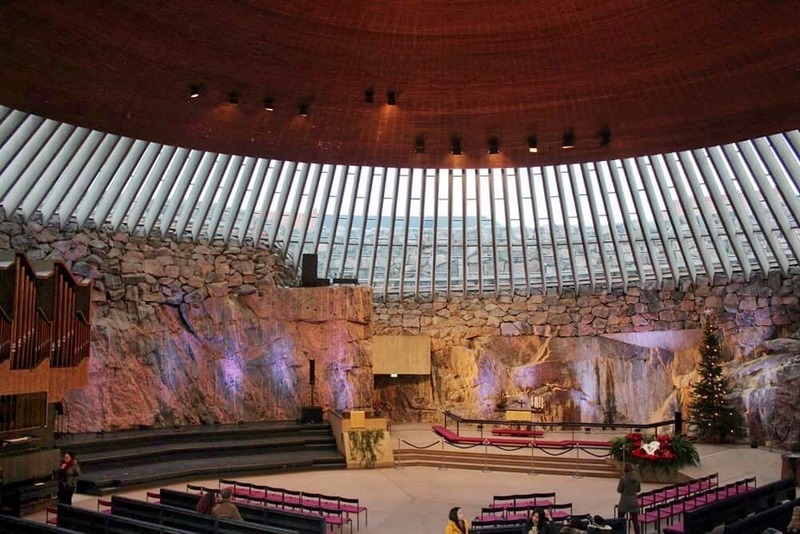 The Temppeliaukio Church (the Rock Church) is an amazing place built into solid rock. The church was opened in 1969 and has been literally blasted out of the rock and is covered with a domed copper roof. You can see the holes in the walls where they drilled to blast out the rock. Very interesting place to see. 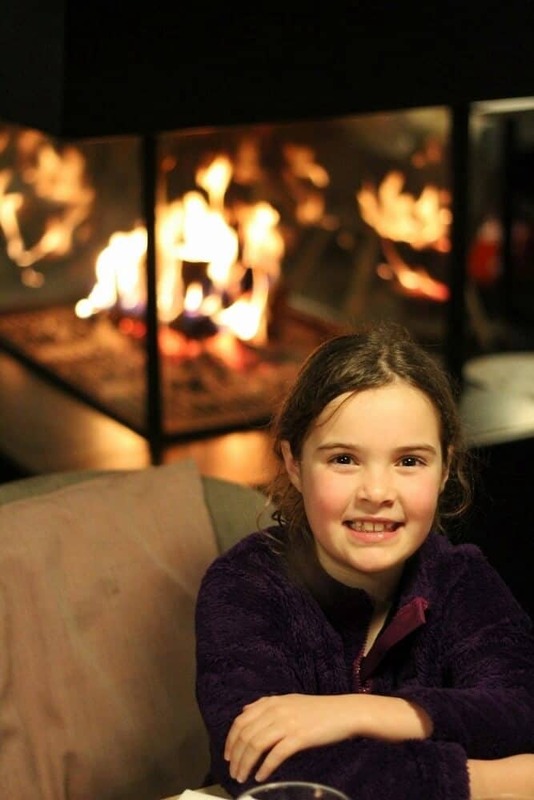 Read our 5 best tips for stress-free family travel here! A trip to Helsinki is not complete without going to the sauna. The sauna culture is an integral part of the Finnish lifestyle and there are about 3 million saunas in Finland (for 5 million people). The Sauna is is a place to relax but also for physical and mental wellness. In Helsinki there are plenty of saunas for you to enjoy. This is a Finnish sauna located on the sea where you can have a sauna and go for a cool down in the freezing cold water outside (which we didn’t go because the sea was too rough and they had closed the gate on the day we visited). This is one of the top things to do in Helsinki – the sauna was fantastic. You get a locker and a towel and they have Mens and Ladies changing rooms where you can change and shower. The communal areas are very comfortable and there is a relax area where you can sit and talk in front of the fire with a glass of water or a beer. There were two sauna’s – one inside and one outside – that we tried and the experience was excellent. Vicky enjoyed trying the cold water bucket in the shower rooms. There is also a great restaurant at Löyly where you can enjoy a great meal in a wonderful setting on the coast. 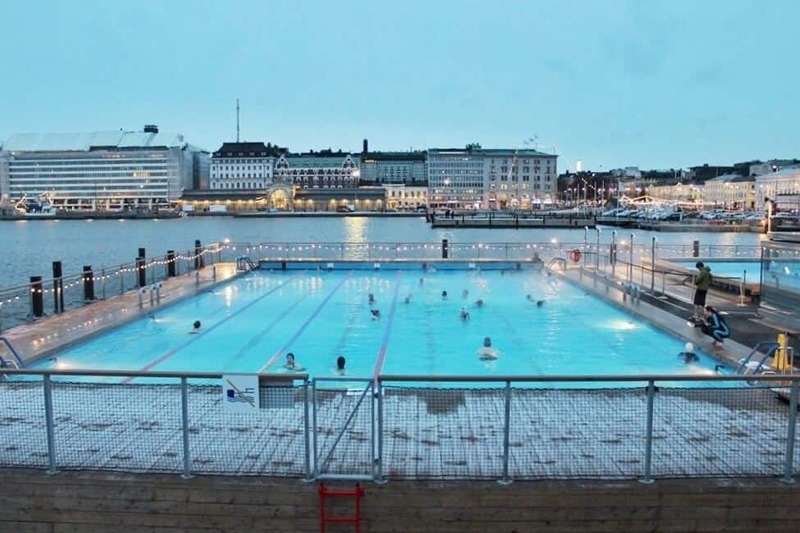 The Allas Sea Pools is another popular sauna in the Kauppatori Marketplace. It is very central and easy to visit. There were a number of sauna’s which you then followed by a swim outside in a lovely pool located next to the sea. This is definitely one of the fun places to go with kids. They have three pools – one of which, the children’s pool was closed when we were there. The sea pool was literally sea temperature and absolutely freezing – we went up to our knees, but that was enough. There were many who enjoyed it though. The heated pool was about 280C, but in the winter that is a good way to warm up after walking in the sub-zero temperatures from the sauna to the pool. It was a nice experience and at least we could say we had swum outside on Xmas day! On Christmas Eve we tried a typical Finnish meal at Restaurant Savotta. 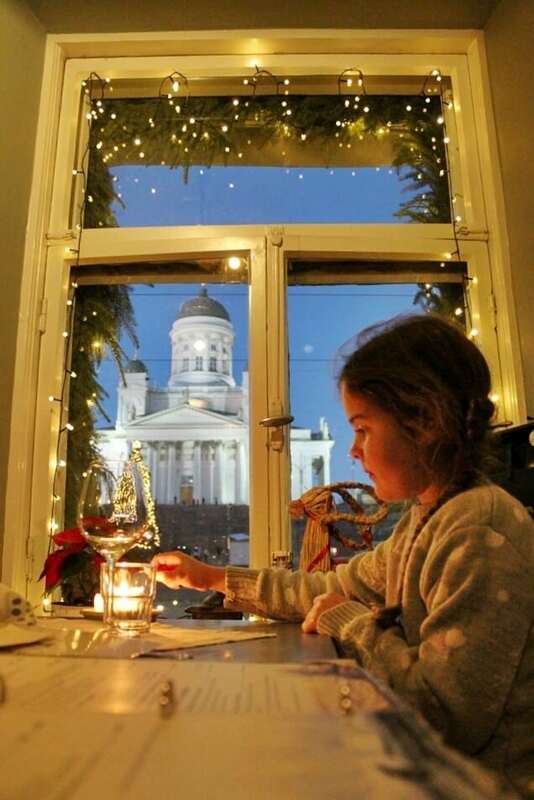 This place is one of the highly ranked restaurants in Helsinki and is located opposite the cathedral – we had a wonderful view of the place during our meal, which was effectively our Christmas meal. And what a meal we had! They have a very interesting menu with bear, elk, pork, reindeer, bear, Finnish bread, pickled fish. All courses were incredibly delicious and it was different from everything we had ever tried. The staff were very friendly, explaining the origin of the different dishes. 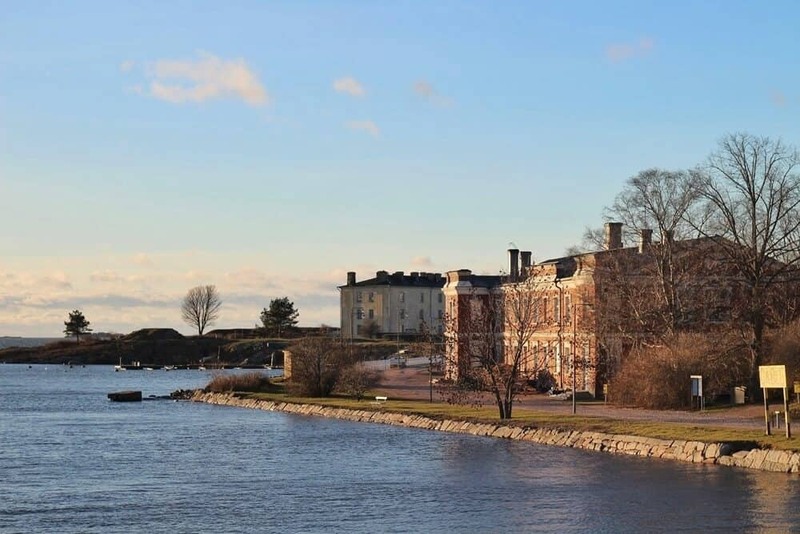 Take the ferry from Kauppatori over to Suomenlinna which is an island just off from the city. 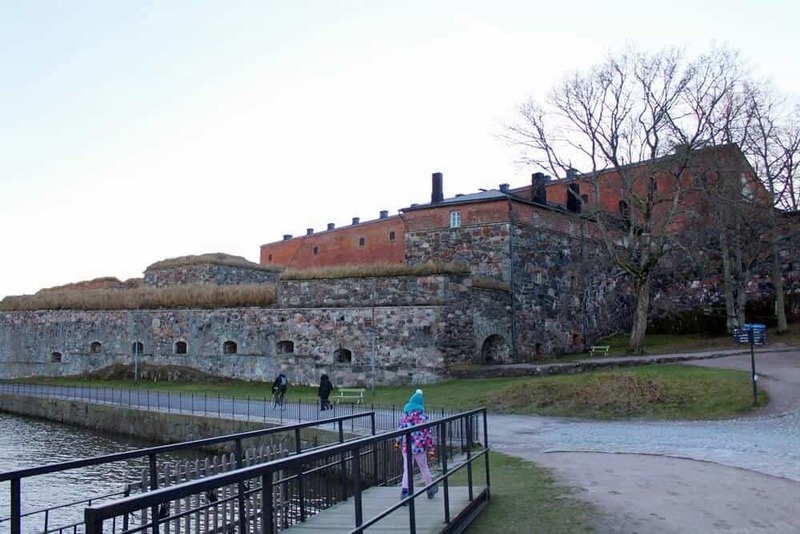 This is a maritime fortress built in the 18th century by the Swedish and is a Unesco World heritage site – one of the main places to visit in Helsinki. Although all of the museums were closed on Christmas Eve the entire island is pretty much an open-air museum. It was nice to be able to walk around the island and see the historic old buildings (still inhabited), the dockyard and the other sights around the island, like a church with a built-in light house in the steeple. There are coloured routes you can follow to get around. The ferry trip was only about 15 minutes, the island is certainly worth a visit as there is lots to see. You can go ice skating on Christmas day in the Ice Park very close to the Central Station. Our daughter loves skating and goes whenever she can when we are travelling. As mentioned some organizations might have different opening times on Christmas Eve and day so best to check the times before going. 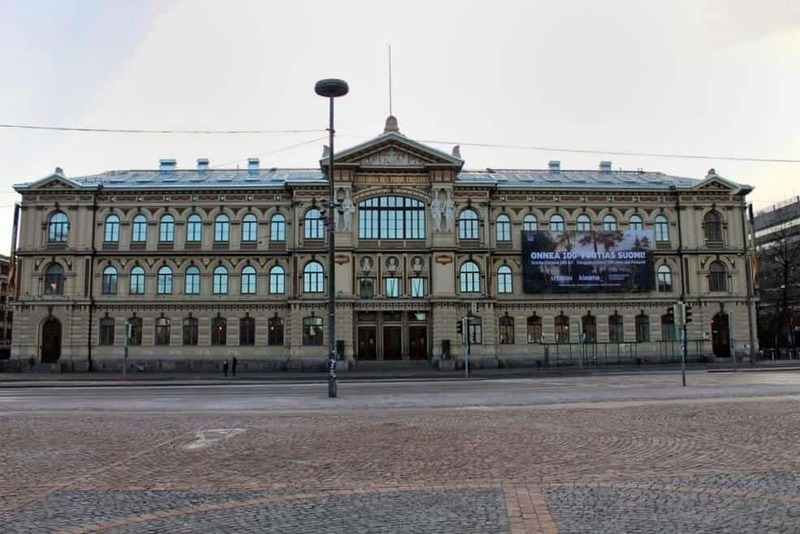 There are many interesting museums in Helsinki. We weren’t able to visit all the ones we wanted during our stay but visited the Ateneum Art Museum on the 26th December. Here we walked around the museum which was showing a very good exhibition from the Von Wright brothers, 19th century Finnish artists. The museum is fairly close to the train station. We recommend checking out the Bistro of the Ateneum afterwards for a delicious lunch. 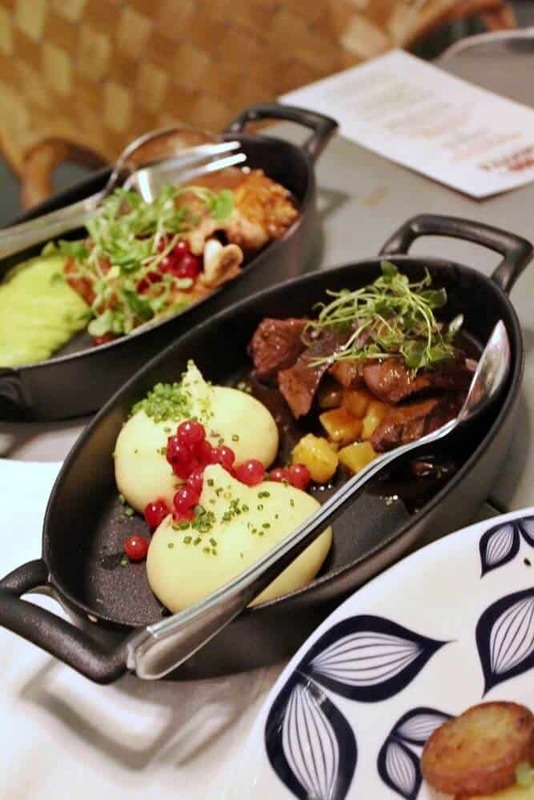 The gastronomical scene in Helsinki is enjoying a golden age. Many new food outlets have been established in recent years and Helsinki has several Michelin-starred restaurants. As Finns consume more coffee per capita than anywhere in the world it is no wonder that they have plenty of relaxed, refined and trendy cafés. We stopped at a few places and weren’t disappointed by any. One of Helsinki’s classic cafés is the Ekberg Café and bakery which dates back to 1852. We had a brunch here, which consisted of lovely pickled herrings, salmon, salad, porridge and other local delicacies. The coffee was great! After the meal we treated ourselves to some patisseries from the bakery next door – delicious freshly baked products, and variety that makes it difficult to choose. Must try! 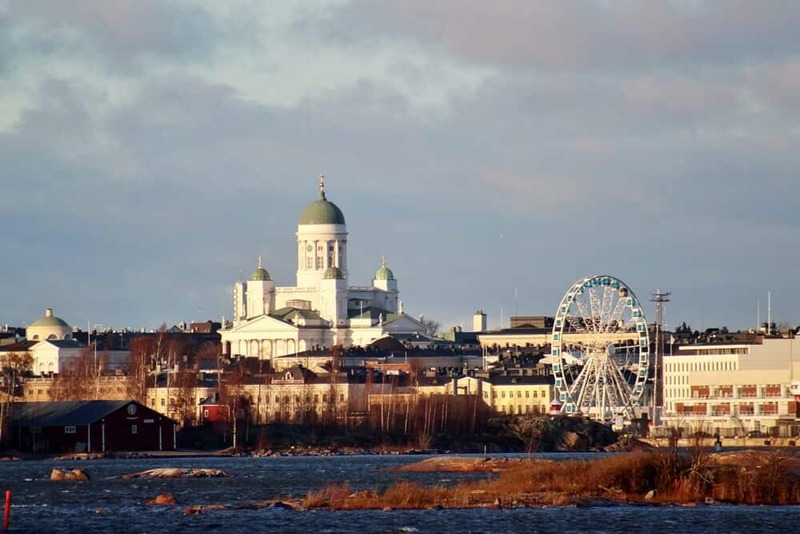 And these are our fine tips for a trip to Helsinki during Christmas! The three days we had during the 23rd to the 26th December were fairly intense but we loved the Helsinki tourist attractions we have seen. Despite being there over the Xmas period we had still found plenty of things to do and see. 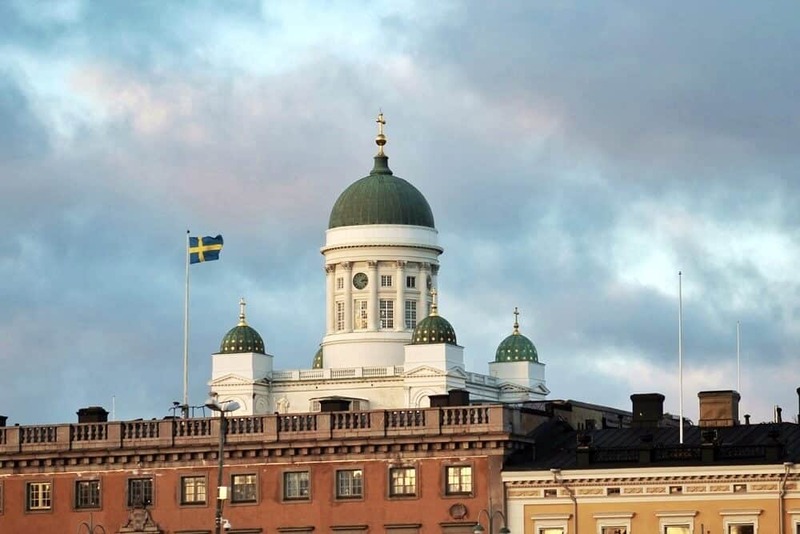 The Finnish are very friendly and the atmosphere was one of a relaxed, wealthy and healthy city. Helsinki is absolutely amazing at Christmas time. 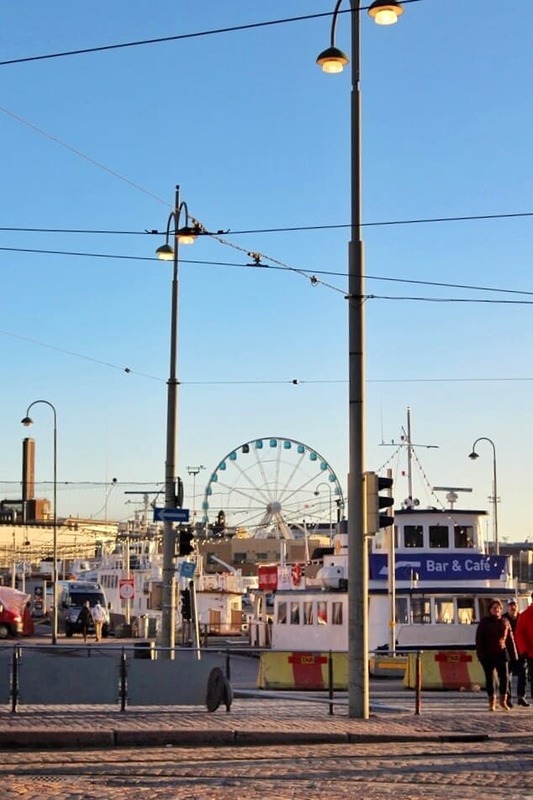 There is of course a lot more stuff to do and things to see in Helsinki, which we shall have to attempt when we return, perhaps next time in a different season when we may dare to go swimming in the Baltic! DISCLAIMER: We Visited Helsinki as hosts of Helsinki Tourism Board. I received one or more of the products or services mentioned above for free in return for providing my honest and unbiased review. I only recommend products or services I use personally and believe will be good for my readers. As always, all opinions are my own.